Came home early to work from home because of a threat of awful snow/ice mix. Got a fire roaring in the fireplace. Things could be worse. I&apos;m a DC area game and web developer who also has a passion for woodworking, mindfulness, tabletop RPGs and storytelling. Outside of my full time job, I am working on a game called Evenfall Arcane (https://evenfallgame.com) as well as a few other, much smaller game projects. I&apos;m terrible at art but I try anyway. My dog Flynn is a goof and my partner works for a brewery which rules. Well this is gonna be my federated home for the foreseeable future. 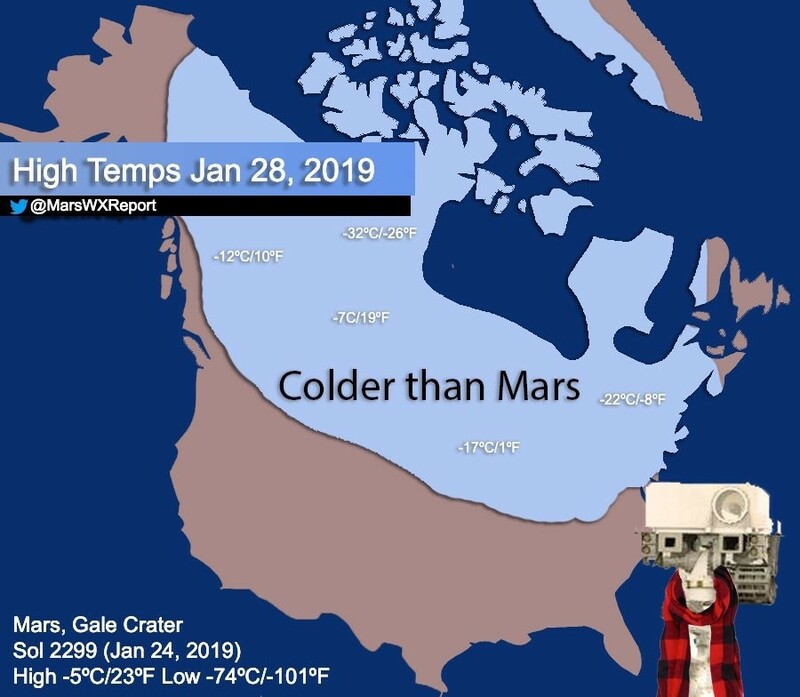 Apparently, Canada is presently colder than Mars.